Thanks to Tiffany for sharing her find. The pair on the bottom are the dupe ‘Dance Studio Pants’ found at Footlocker for $17.49 (regular price $34.99 now 50% 0ff). The material as you can see is identical to swift (94% Nylon and 6% Spandex) with the same little line designs. 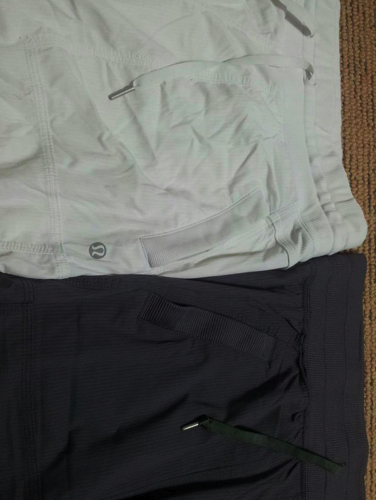 Waistband, seam details and logo placement are all the same as the original lululemon pants that retail for $98. They come in S/M/L and Tiffany found the Medium fit like a size 8.